LINCOLN, Nebraska – The Nebraska Corn Board (NCB) and Nebraska Corn Growers Association (NeCGA) are proud to support seven college students as interns starting this summer. 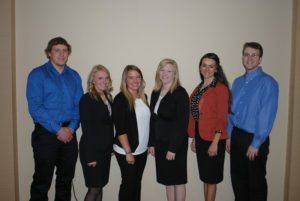 Five of the seven interns will be hosted by national cooperators of NCB, including: the National Corn Growers Association in St. Louis, Missouri and Washington, D.C., the U.S. Meat Export Federation in Denver, Colorado and the U.S. Grains Council in Washington, D.C. and internationally in the Panama City, Panama office. The other two internship programs will be yearlong internships in the Nebraska Corn offices in Lincoln. Below is a listing of students who were selected for this year’s internships and a short description of what they’ll be experiencing. You can keep up with these students and their experiences throughout the summer on Nebraska Corn’s blog entitled “Nebraska Corn Kernels.” Visit NebraskaCorn.blogspot.com to learn more. The National Corn Growers Association headquarters’ office in St. Louis, Missouri, will host Lauren Stohlmann of Murdock, Nebraska, as their summer intern supported by a partnership between NCB and NCGA. Lauren will be a senior in Agricultural and Environmental Sciences Communications at the University of Nebraska-Lincoln. She will be primarily working with market development on the American Ethanol NASCAR sponsorship as well as participating in a variety of other communications and grassroots activities. The National Corn Growers Association (NCGA) office in Washington, D.C. will host Colton Flower of Scottsbluff, Nebraska, as their summer intern supported by a partnership between NCB and NCGA. Colton will be a senior in Agricultural Education/Leadership with minors in Agribusiness-Entrepreneurship and Animal Science at the University of Nebraska-Lincoln. During his internship, he will be involved with a variety of agricultural issues related to environmental regulations, transportation, free trade agreements, biotechnology, ethanol, and energy. 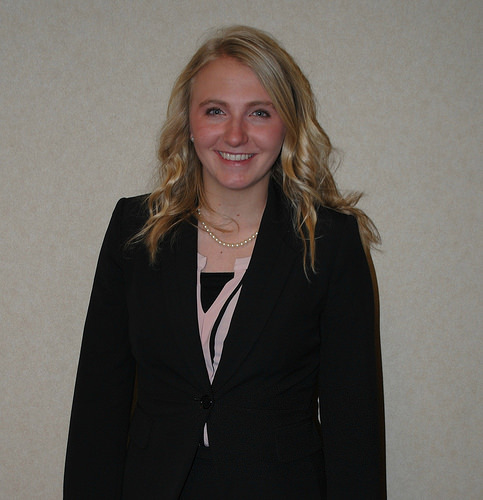 The U.S. Meat Export Federation (USMEF), located in Denver, Colorado will host Kelsey Scheer of St. Paul, Nebraska, as their summer intern supported by a partnership between NCB and USMEF. Kelsey will be a senior in Animal Science with a Production and Management option from the University of Nebraska-Lincoln. She will be assisting with beef, pork and lamb specific projects, as well as promotions and international relationship opportunities. The U.S. Grains Council (USGC) in Washington, DC will host Maddy Breeling of Omaha, Nebraska, as their summer intern supported by a partnership between NCB and USGC. Maddy will be a senior studying Global Studies, with minors in Business and National Security at the University of Nebraska – Lincoln. She will be working with the global programs team and assisting with preparation for international trade teams and other market development programs that help to develop demand for U.S. coarse grains and co-products. In cooperation with NCB, the U.S. Grains Council will also host Andrea Gurney from Torrington, Wyoming, as their international intern in the Panama City, Panama office. Andrea will be a senior majoring in Agricultural Business at the University of Nebraska-Lincoln. She will be working with the western hemisphere team on issues related to global trade in food and agricultural products, assisting with communication to importers. The NeCGA office in Lincoln is happy to welcome Laura Lundeen of Axtell, Nebraska, for a yearlong internship. Laura will be a junior in Agricultural Education with minors in Animal Science and Agronomy at the University of Nebraska-Lincoln. She will oversee NeCGA’s online communications as well as contribute to a variety of communication and outreach projects. The NCB office in Lincoln is excited to welcome Morgan Schilling of McCook, Nebraska, for a yearlong internship. Morgan will be a senior studying Agricultural Education with a minor in Agronomy at the University of Nebraska – Lincoln. As part of his internship, he will oversee Nebraska Corn’s crop progress report placement, contribute to communication programs and projects and will help coordinate educational and promotional activities. “Nebraska Corn’s internship program has been engaging students for over 20 years and has been a great investment into Nebraska’s agricultural future. As our board has observed, the educational and career advantages these internships have provided to students over the years, have been instrumental in motivating students go on to excel in agricultural focused careers,” added Brunkhorst. The Nebraska Corn Board’s market development, research, promotion and education programs are funded and managed by Nebraska corn farmers. Producers invest at a rate of 1/2 of a cent per bushel of corn sold. 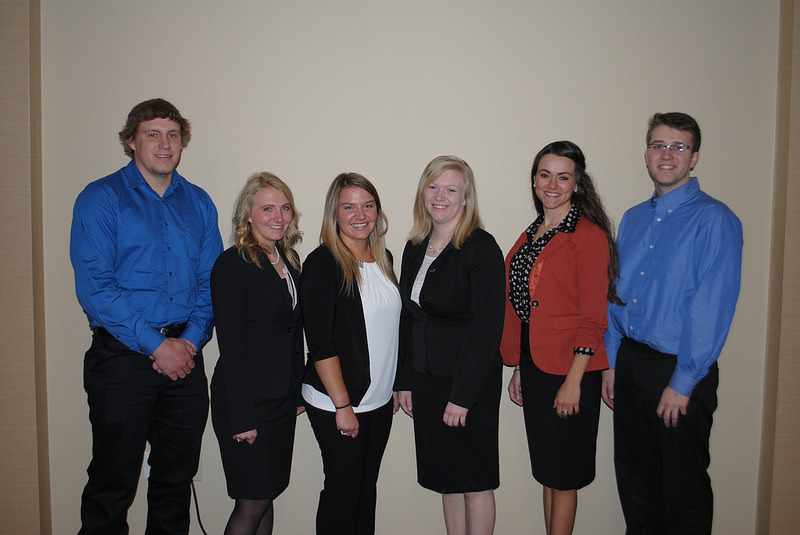 EDITORS NOTE: Hi-res photos of the interns are available for download at Nebraska Corn’s Flickr page, under the “2016 Nebraska Corn Interns” set. Click below for comments to the Agency regarding the re-registration of Paraquat.